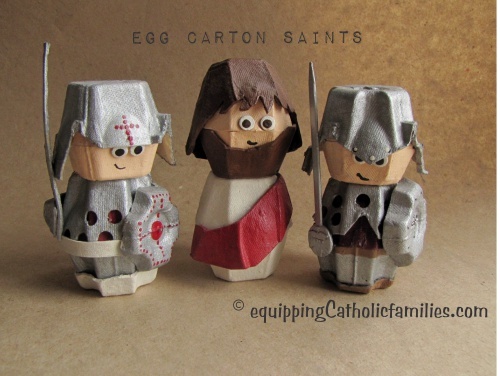 A few years ago I was making these Egg Carton characters, inspired by Michele Made Me. These are SO CUTE and fun to make!! I decided to start my Egg Carton Communion of Saints with Mother Mary. Michele has an Egg Carton Nativity set that is awesome and I only strayed a little to make my Mother Mary. I needed to add her signature blue veil and a shiny halo. Finally! The Lives of the Saints in Comics! 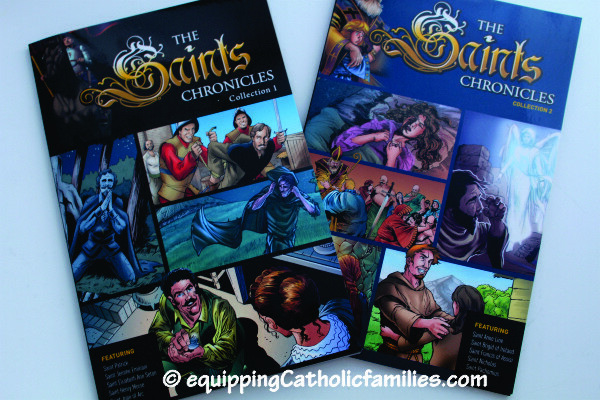 The Saints Chronicles is a collection of stories beautifully articulated in comic-book style, gathered together in four graphic novels. The beautiful illustrations are dynamic and engaging; depicting “often exciting and even dangerous – quests for holiness”. 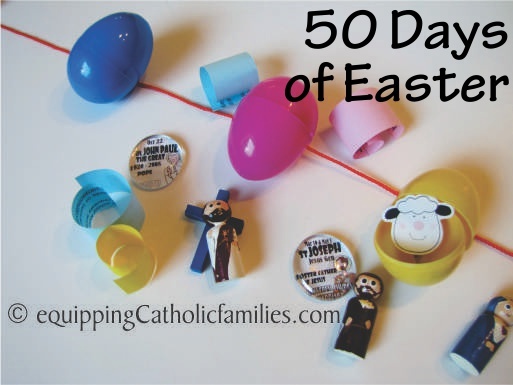 A summary post of sustainable celebration for all 50 days of Easter including non-chocolate surprises and treats for plastic eggs and awesome Catholic crafts and family traditions! 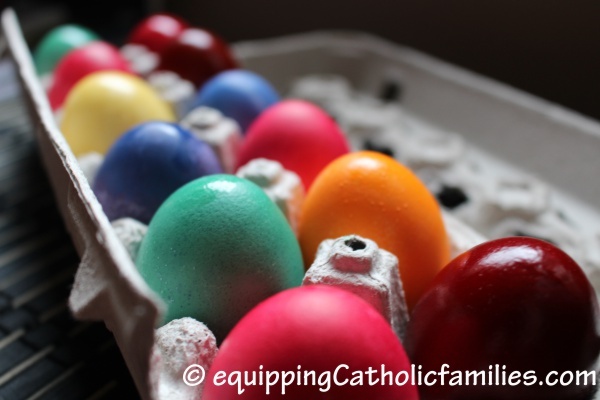 Did you catch Equipping Catholic Families…for Holy Week? It’s not too late! 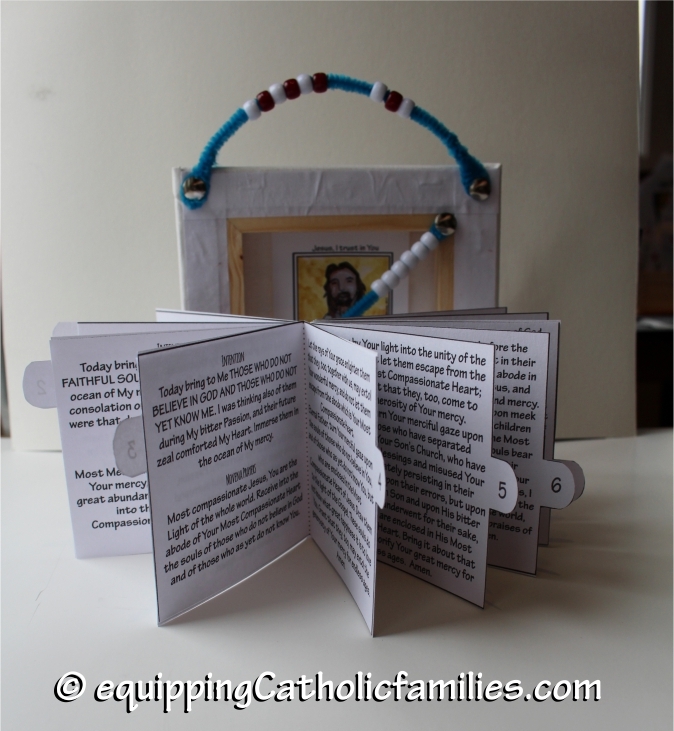 We’ve added something to our line of Easy as Abacus Prayer Trackers! Check out the Divine Mercy Carousel…keeping the prayers for each day of the Novena all ready for you! Just in time for Good Friday…when the Divine Mercy Novena starts! We’ve got ideas and deals for your Easter Basket this year! Super Saints include 54 unique Kelly Saints images along with quick and quantifiable facts for easy quizzing! 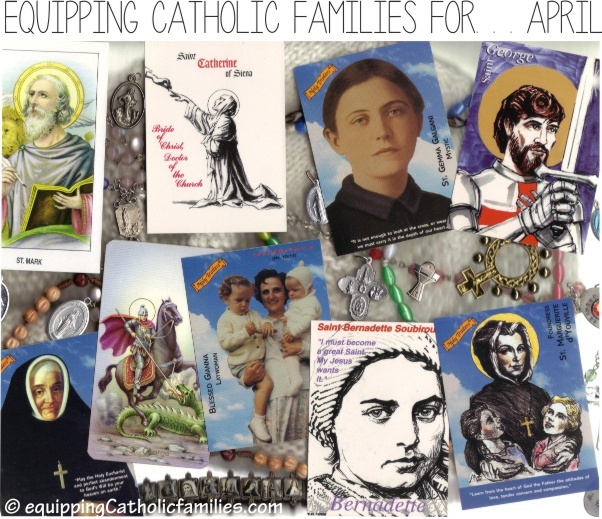 Your family can play real card games with this deck…and learn a ton about your favorite Holy Heroes! See Super Saints Showdown (Top TrumpsTM) and Super Saints Stats (Flashcards) and HedbanzTM. Get a second set and play Go Fish!, Old Maid, Memory/Matching, or Sorting games! Banking on our experience from prior years, I think there is a natural tendency to pack a whole lot of celebrating, feasting and chocolate-eating on Easter Sunday and maybe even this whole week…but we tend to forget that we are still in Easter celebration mode until Pentecost, especially after the chocolate runs out. 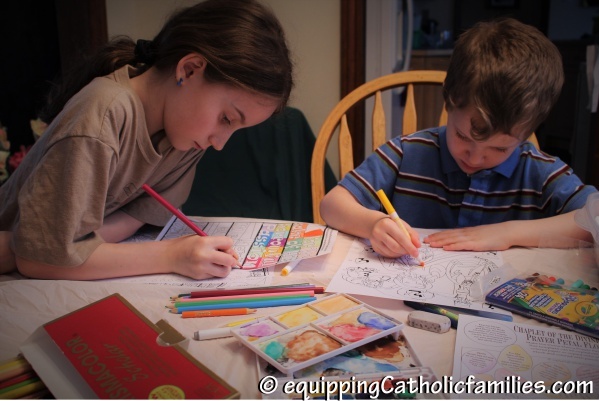 Divine Mercy Craft Kit Coloring! 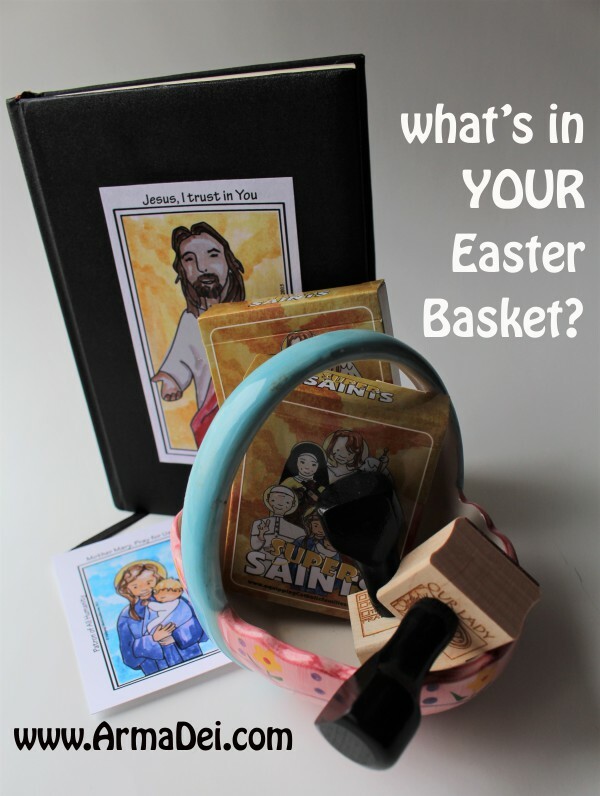 It’s Holy Thursday and a Snow Day up here in Canada, so we have taken the opportunity to color the B&W templates of our new Divine Mercy Craft Kit…just in time for the Novena that starts tomorrow on Good Friday!